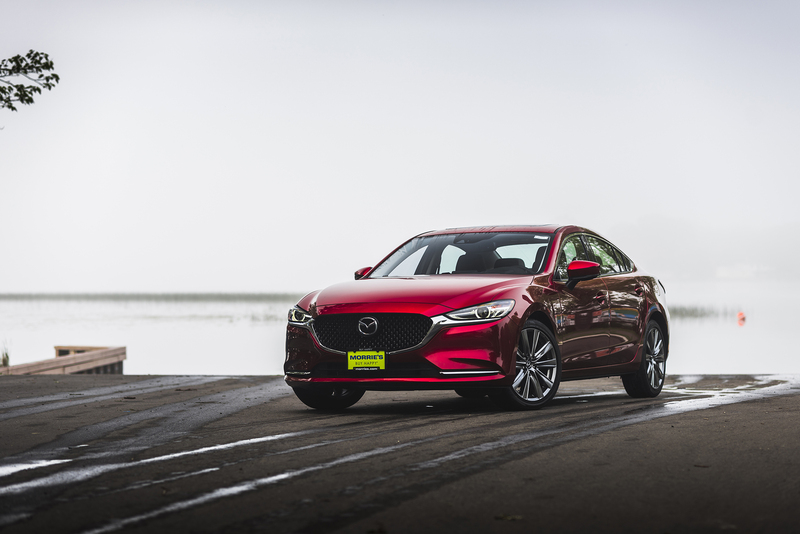 Mazda continues its purposeful, calculated plan to pump out as many great cars as it can with the new 2018 Mazda6. 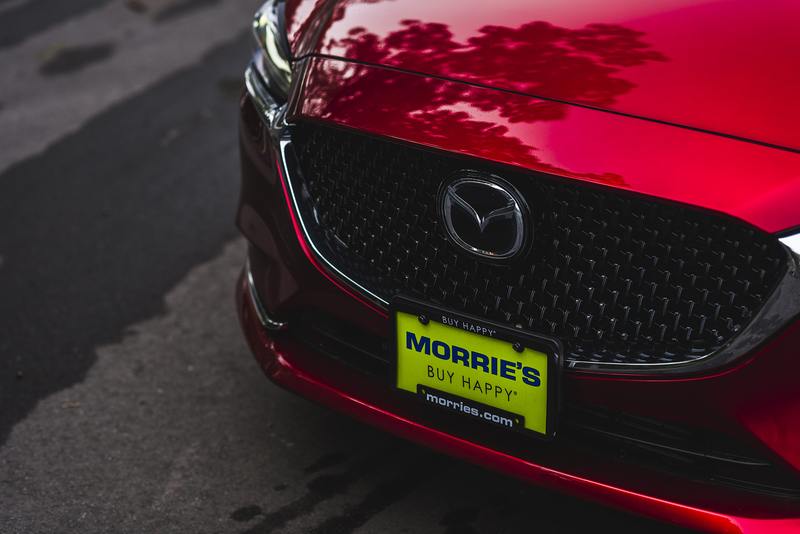 Capitalizing on the acclaimed success of the sporty MX-5, the perfectly packaged CX-5, and the large-family-friendly CX-9, Mazda’s update to their midsize sedan for the 2018 model year continues the trend of beautifully styled, solidly built, and fun to drive vehicles. 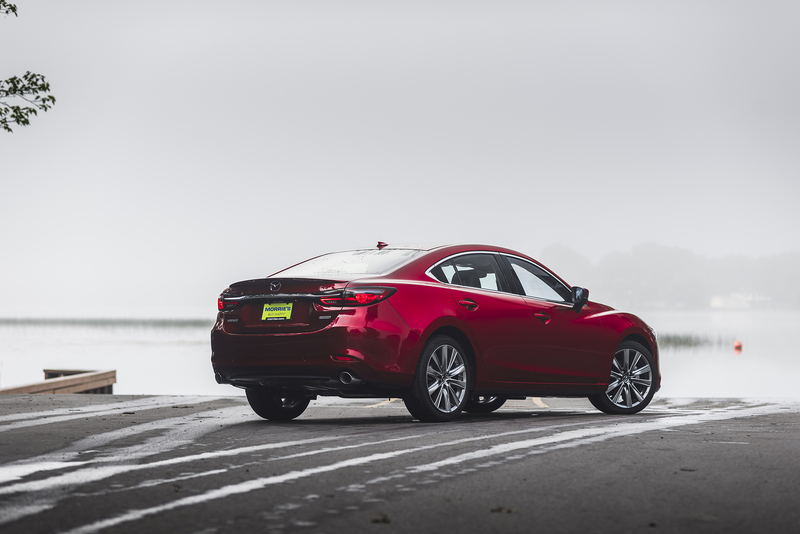 The big headline with the new 2018 Mazda6 is that the 2.5L SkyACTIV-G inline-4 engine that we’ve come to know so well now sports a turbocharger. 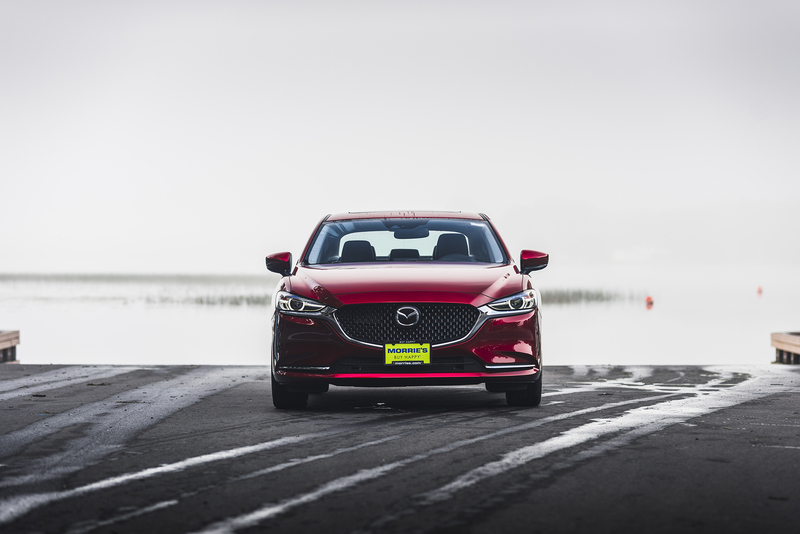 This means that Mazda6 gets a 63-horsepower bump, up to 250 horsepower on 93 octane premium gas (which drops to 227 horsepower on regular 87 unleaded) in the Grand Touring, Grand Touring Reserve, and Signature trims over the naturally aspirated, 187-horsepower 2.5L inline-4 found in the Sport and Touring trims. 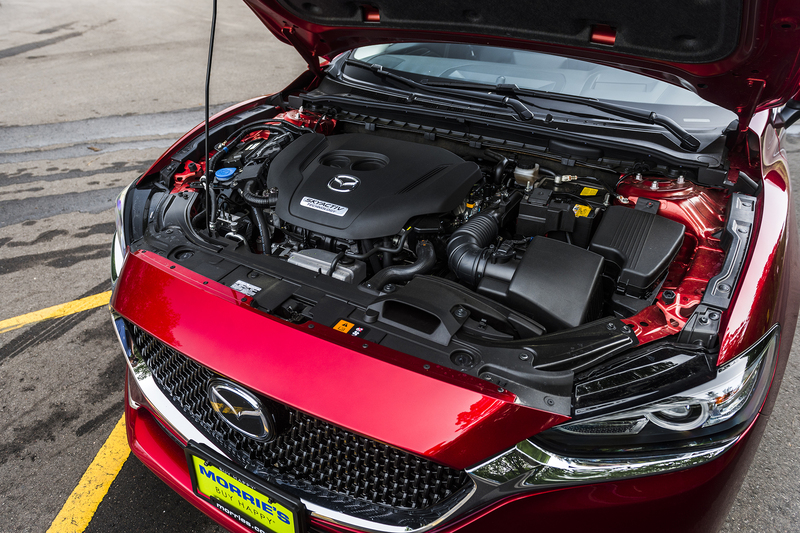 If you’re familiar with Mazda’s lineup, you might notice that this is the same engine that we’ve come to love in the CX-9, however, with significantly less weight to move the Mazda6 feels far more enthusiastic to get up and go. 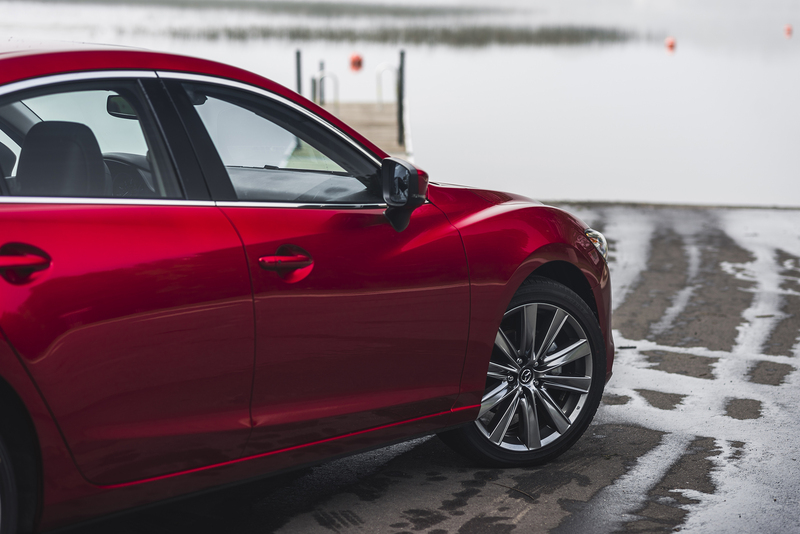 Helped by the responsive and quick-shifting six-speed automatic transmission, the Mazda6 feels far more capable than its predecessor of making the Kessel Run in under 12 parsecs, or for simply getting you from Point A to Point B a little more quickly. 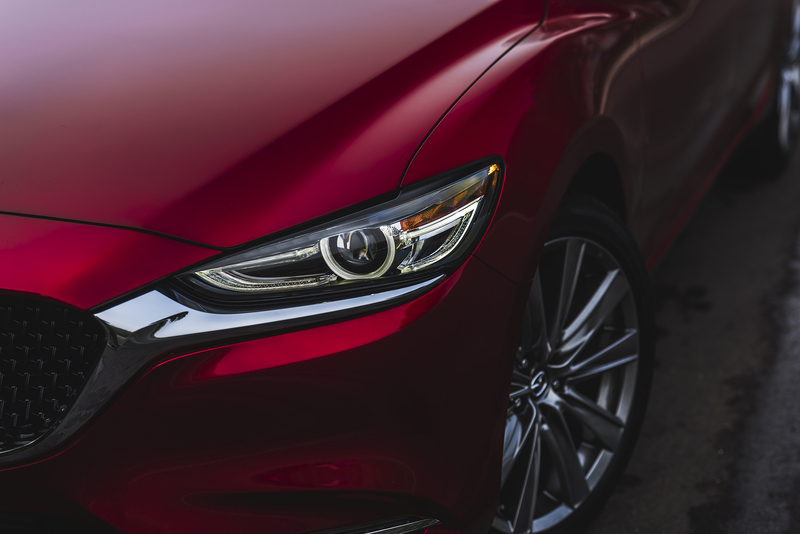 Instead of having to plan out passes or merges into faster traffic, the Mazda6 seems able to read your mind, allowing you to get up to speed with ease. 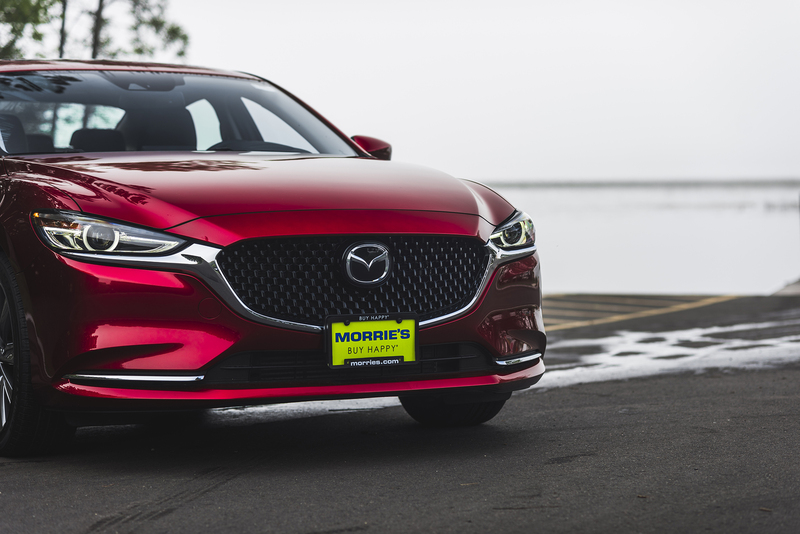 The extra 63 horsepower really makes a noticeable difference in how the car drives, not so much for the sheer speed of it all, but for the confidence that it inspires from behind the wheel. 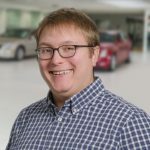 Despite having paddle shifters to invite a little more driver engagement for those that choose to use them, I found that the transmission did such a great job determining my intentions on its own that I rarely felt the need to take control. 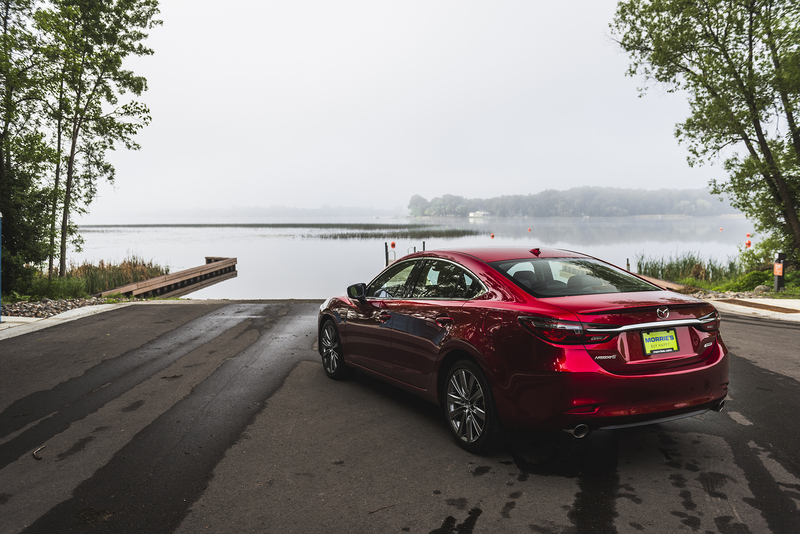 That being said, there’s more to the new Mazda6 than its new drivetrain. 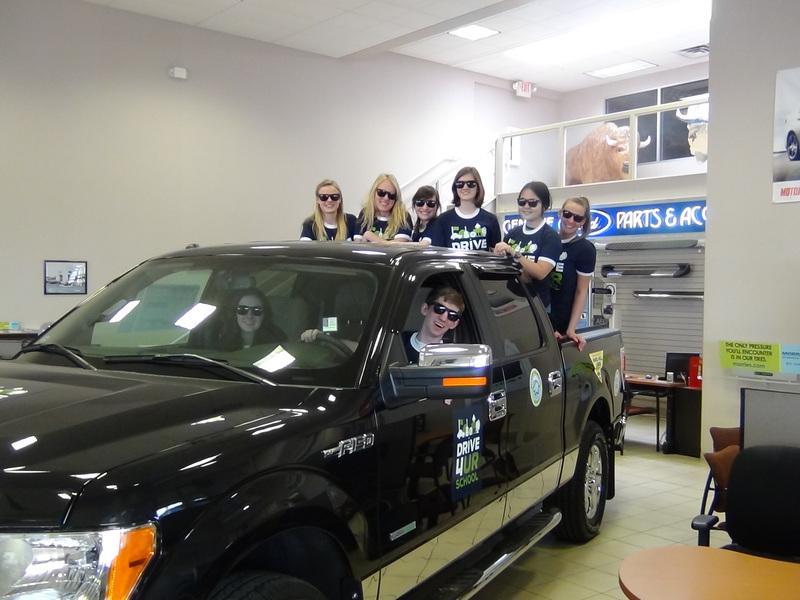 On the road, the suspension is perfectly compliant for day to day driving. It’s supple enough to soak up bumps while remaining composed. 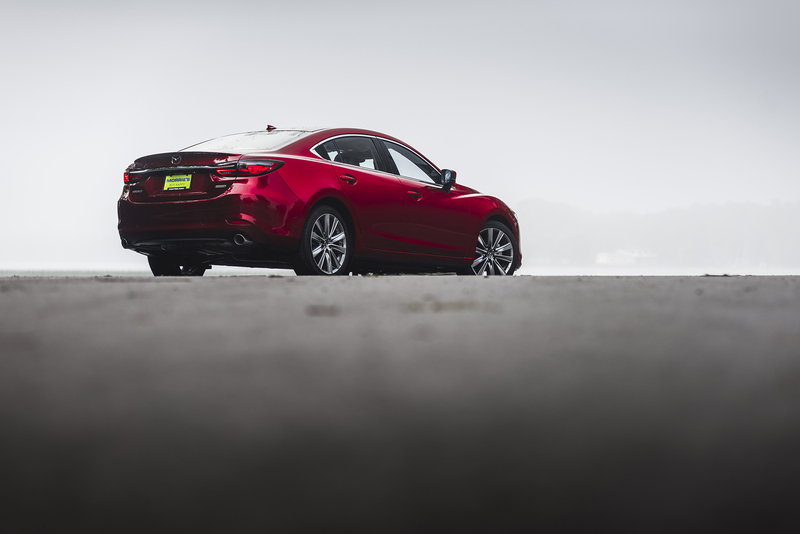 At first, I did notice more body roll than I had initially expected but over time, I grew to appreciate the greater sense of connection it gave me to the Mazda6. Instead of fighting the car through corners, we’d lean into them together. 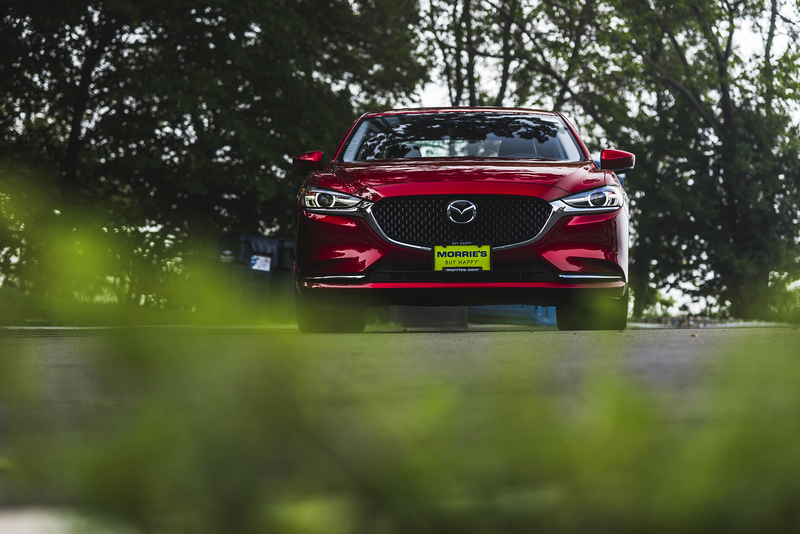 The suspension has this magical quality of being able to tame the road ahead while also giving you the sense that you’re actually driving the car instead of just sitting there. 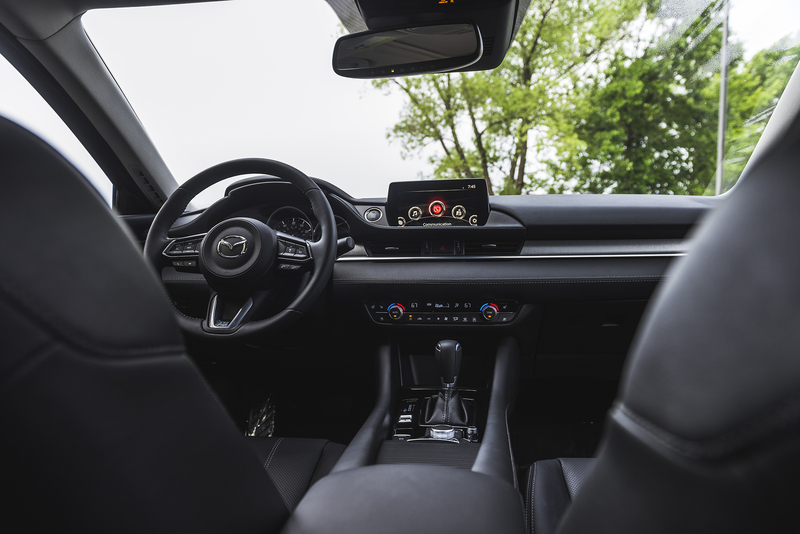 Inside, Mazda took great care in both the design and craftsmanship of the Mazda6’s interior space. Everything has a handcrafted look and feel to it that feels special. 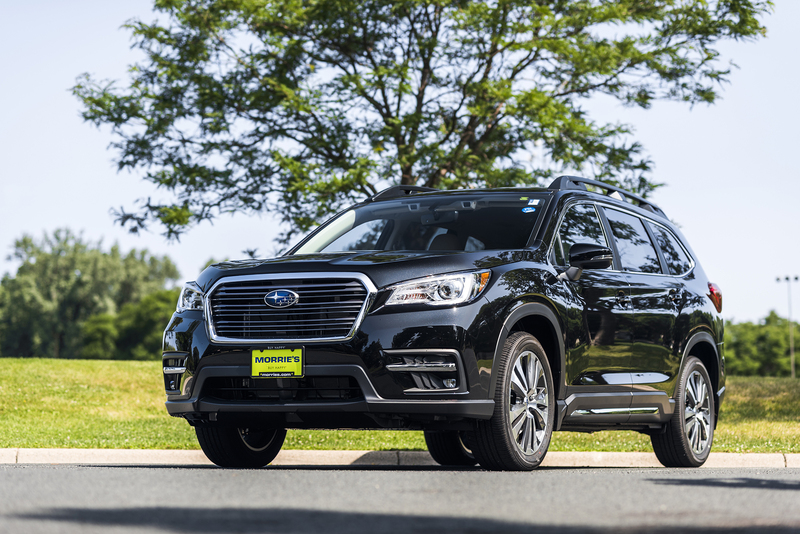 The leather on the seats, steering wheel, and other touchpoints throughout the cabin is buttery smooth while the dash has been cleaned up and superfluous buttons have been moved, hidden, or digitized into the 8.0-inch touchscreen. What you’re left with is a very elegant, almost minimalistic, interior that still feels intuitive to use. 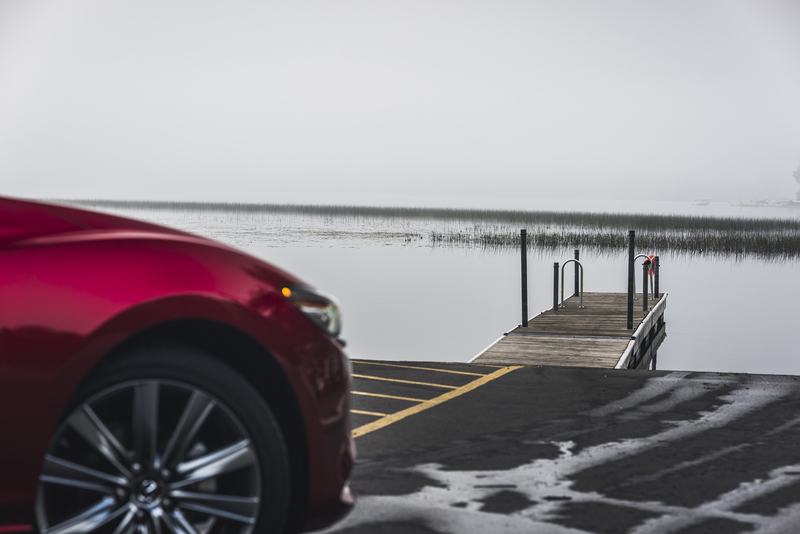 Intuitiveness and ease of use is a hallmark that Mazda has fought to protect in its vehicles and that certainly rings true here, with everything laid out in a way that is easy to find without the need to take your eyes off the road. 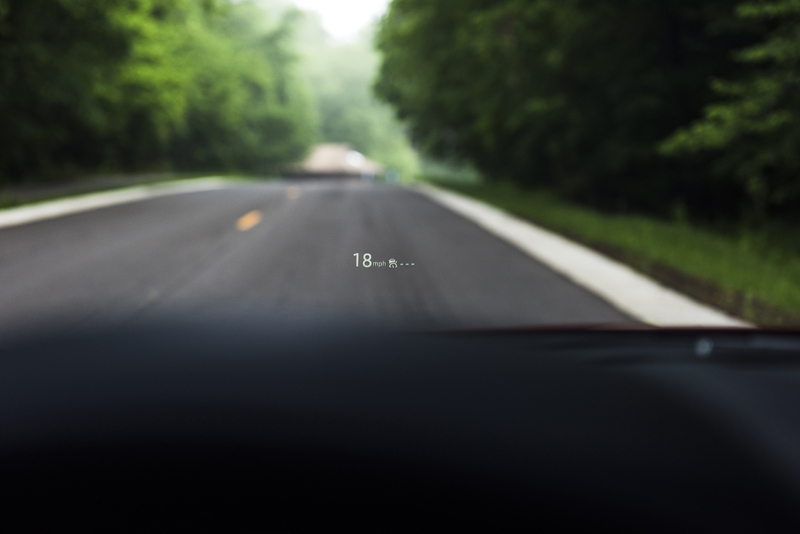 Mazda went even further to remove distractions by implementing a color head-up display into the windshield that not only shows speed and navigation information but also incorporates information from the adaptive cruise control, lane keep assist, and Smart City Brake Support systems to make sure you have all of the information you could ever need right in front of you, without being overly distracting. 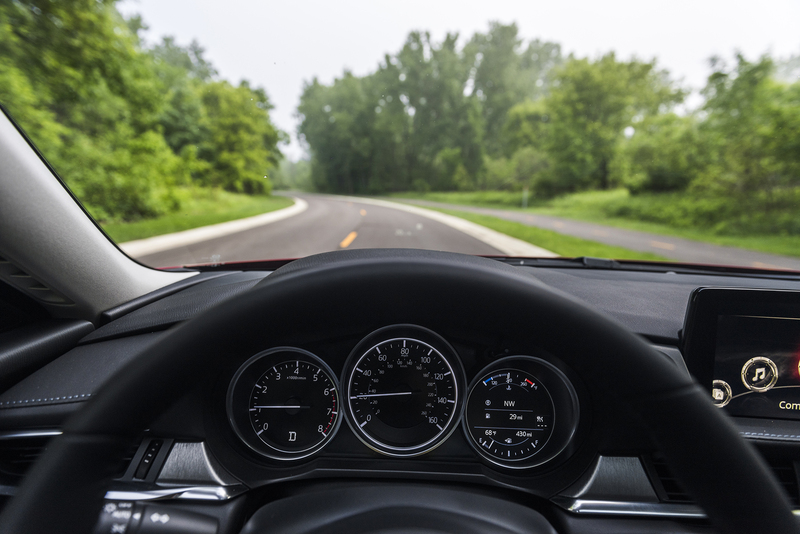 All of these safety systems do a good job of remaining unobtrusive when you don’t need them so you can enjoy driving the car in your own way. 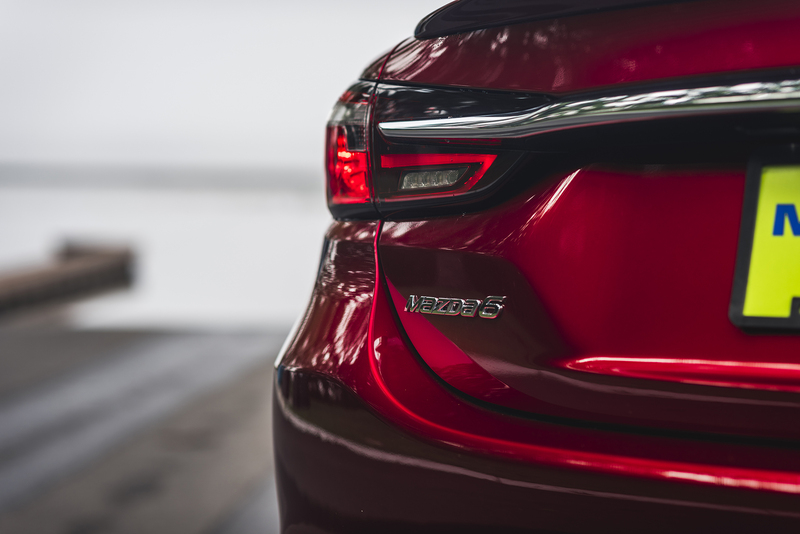 When you leave your favorite back roads and merge into traffic on the interstate, the adaptive cruise control system completely takes the stress out of stop-and-go traffic, while the lane departure warning and lane keep assist will help you maintain course. 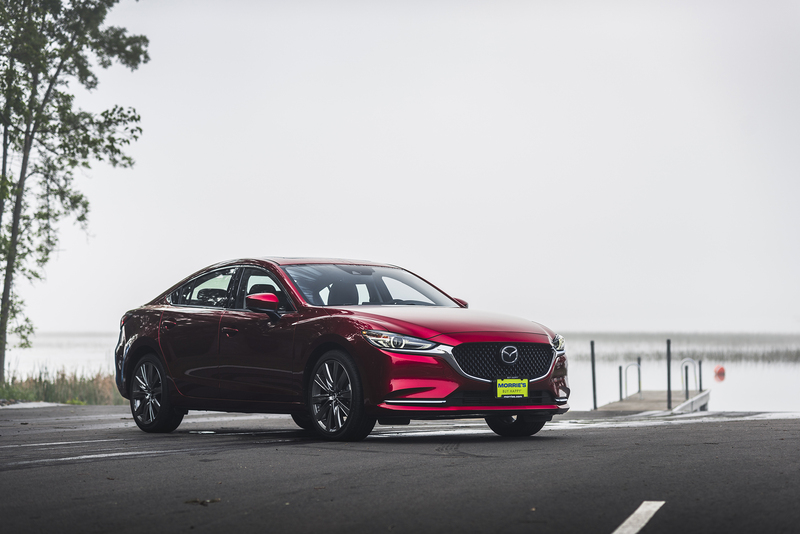 In case you hadn’t noticed by now, the 2018 Mazda6 Grand Touring Reserve has a lot to offer, and while it may have features and materials regularly found on luxury sedans, its pricing paints a more humble picture. 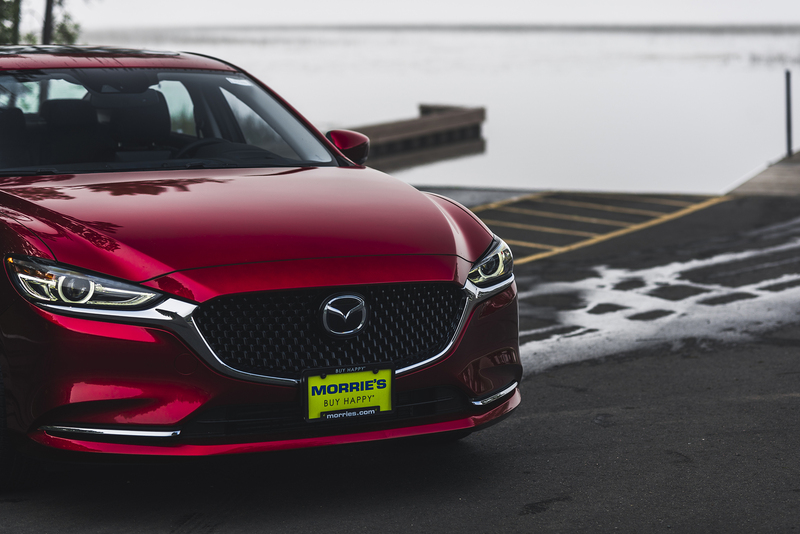 Coming in at $33,185 as equipped, including $595 for the beautiful Soul Red paint and $890 for delivery, it’s hard to imagine much more you could want from an everyday sedan. 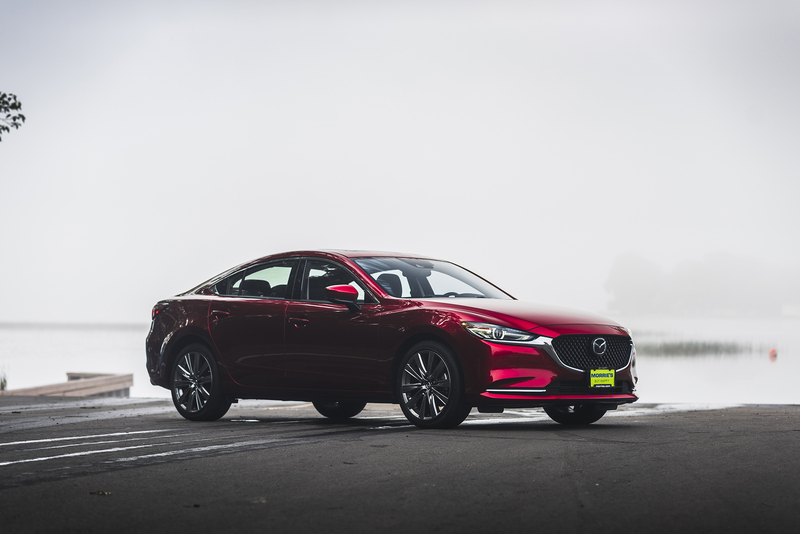 The turbocharged engine feels peppy and significantly faster than the NA engine. Power comes on very smoothly and makes the car feel faster than it probably is. The new 2.5L turbocharged 4-cylinder is eager to rev and really comes alive the more you push it. 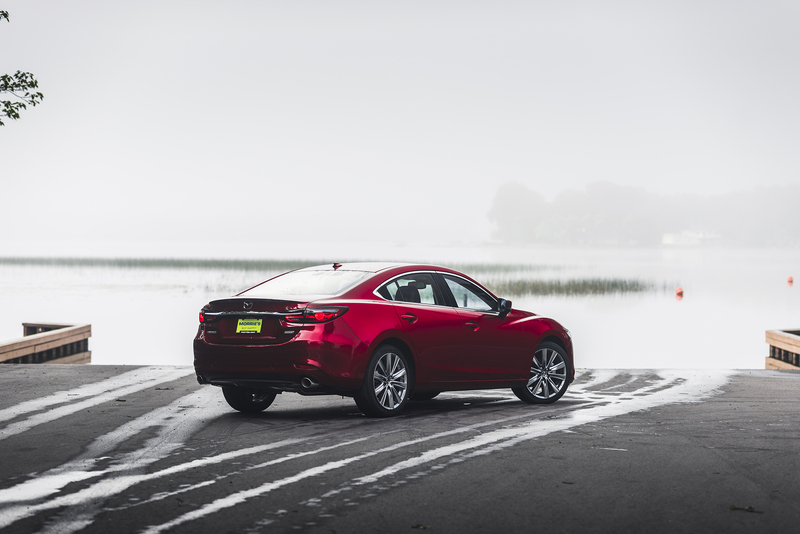 The 6-speed automatic is quick and smooth shifting when left in auto. The paddle shifters add to the engaging spirit of the car but can be sluggish to react to the driver’s inputs. 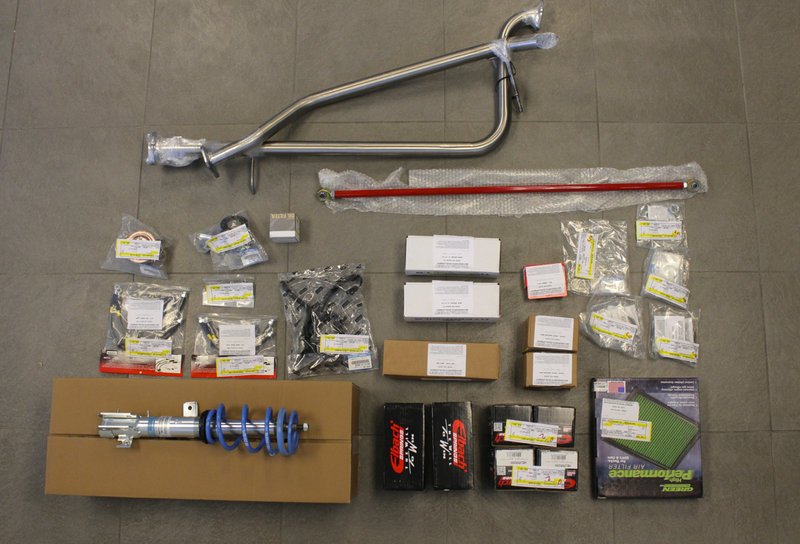 The suspension is very supple with more body roll than expected, but the body roll ends up adding to the sensation of speed and connection to the car. 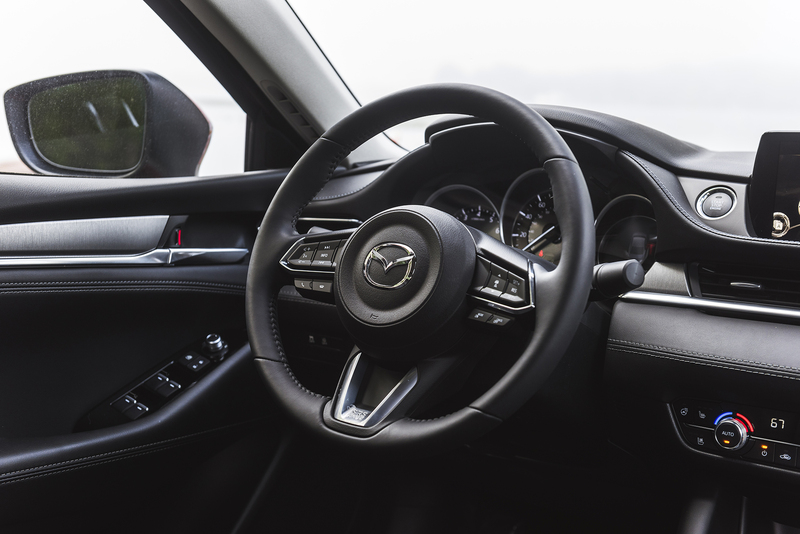 The Mazda’s interior materials and quality are both top-notch, with a very sleek design that remains intuitive. 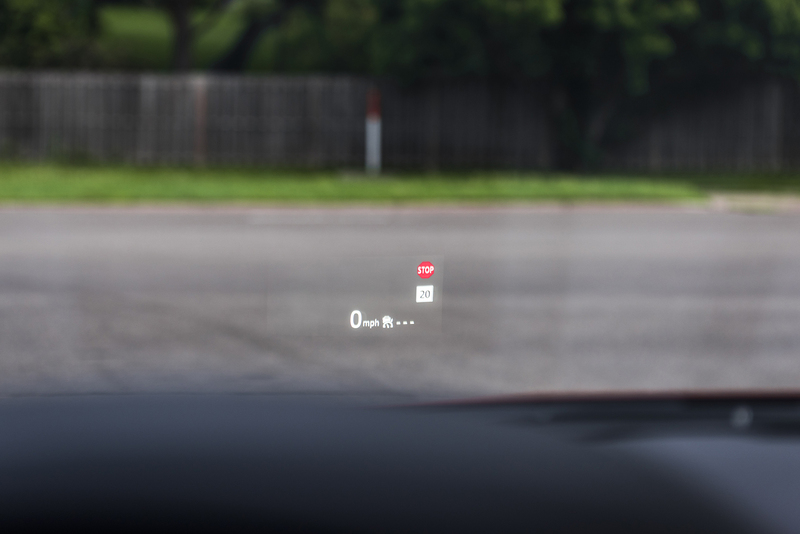 Available technology like adaptive cruise control, lane departure warning, and traffic sign recognition, are all displayed on the head-up display along with vehicle speed. The Bose Centerpoint II audio system sounds crisp and clear with solid bass.